The Good Shepherd Institute will preserve essential biodiversity and be a unique model of agricultural education, ecological resilience, and food system innovation. The Good Shepherd Institute is an educational hub for breeding poultry, training farmers, chefs, and students, partnering with institutions, and engaging the public. It serves as a model for system-wide agricultural and ecological innovation, and is dedicated to ensuring the long-term viability of the poultry industry. 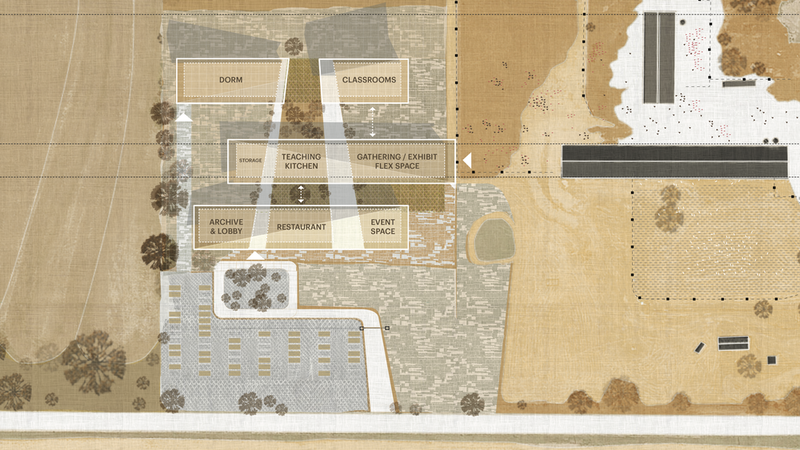 Frank Reese has partnered with MASS Design Group to design and build the institute on his farm in Lindsborg, Kansas. For more information about the team, click here. For more information about how to donate, click here. To download our project overview or send us a question, click here. The mission of the Good Shepherd Institute is threefold: to preserve and protect biodiversity via ongoing heritage poultry breeding; to teach poultry breeding, regional variation, humane animal husbandry, culinary traditions, and diverse agroecology; and to scale the economic market for heritage breeds raised on small farms. Founder Frank Reese has been a tireless advocate for the preservation of heritage poultry genetics for decades, and yet the knowledge of how to breed, raise, and cook heritage poultry is under severe threat from corporate factory farming nationwide. 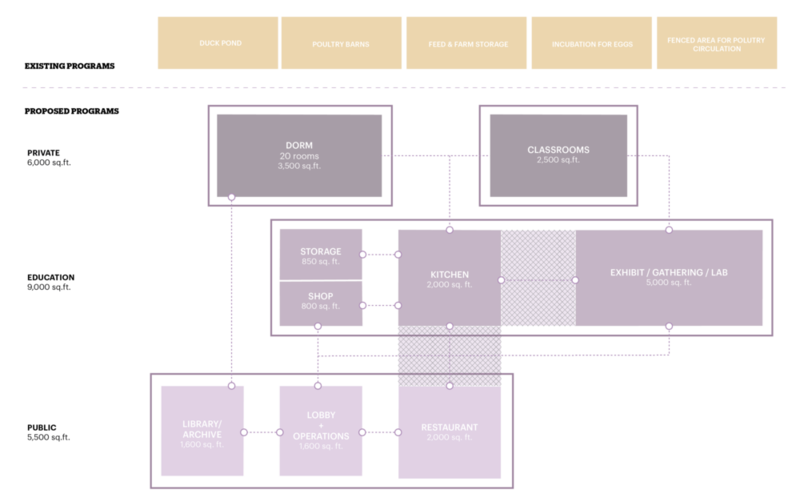 The design and construction of the Good Shepherd Institute will provide a hub for urgently needed education, training, and engagement, and will cultivate change throughout the food system. The Institute will broaden the reach of Frank’s innovative farming methods and extensive knowledge of heritage breeding through facilitated teaching opportunities. The Institute will cultivate powerful collaborations between a diverse group of stakeholders. Farmers, community groups, agricultural advocacy organizations, universities, government agencies, thought-leaders, chefs, and students will all learn from the activities and immersion opportunities on site. The Institute will build an economic market that prioritizes biodiversity, ecological health, animal welfare, and resilience over profit and environmental control. The Institute will participate in the active rebuilding of rural infrastructure that has been destroyed by industrial-scale agro-business and that is necessary for the redevelopment of regional economies, food systems, and communities. "If we're going to change things, there needs to be a place for farmers to come and learn this again." The Good Shepherd Poultry Ranch is a 160-acre farmstead in Lindsborg, Kansas on which Frank Reese maintains the oldest continuously bred flock of heritage turkeys in America according to standards set by the American Livestock Conservancy. Every decision that Frank makes on his farm considers animal welfare, genetic biodiversity, and ecological resilience, and he is one of the only farmers in the country who has been certified by the USDA to sell heritage poultry. The Good Shepherd Institute will be built on Frank's farm, and will ensure continuous future operation. For more information about Frank Reese and his farm, click here. The Good Shepherd Institute will welcome diverse and varied engagements throughout the day, month, season, and year. Annual conferences of national organizations, restaurant-going neighbors, young farmers enrolled in farmer immersion courses, nationally-renown chefs, 4-H students, researchers from international universities, regional farmers, food system thought-leaders, and students from the local colleges will all cross-pollinate at the Institute to cultivate an environment of interdisciplinary learning and problem solving. Diverse site ecology: the site surrounding the Institute is an integral part of its design. Though Frank has primarily raised poultry, the 160-acre site of the Institute will provide space for agroecological innovation. Diverse grazing, grain plantings, and native prairie maintenance will all be considered in concert with Frank’s ongoing poultry operation.